Welcome to the Fall 2015 Term! As we gear up for the fall 2015 semester – classes begin Monday, August 17 – we want to share some important reminders to help you during the first week of class. Remember, CPCC is a tobacco-free college. All tobacco products (including anything resembling tobacco products, such as e-cigarettes) are prohibited everywhere at all times. We thank you for your cooperation. 1. Attend class on the first day. Download the new CPCC app and use your CPCC Login to view your class schedule from My College (or go to http://mycollege.cpcc.edu to print your schedule). Bring a copy of your class schedule to ensure that the location has not changed. Note both the campus and building name for your classes. Look for information tables on campus to help you locate your classrooms or answer questions. PLEASE NOTE: Tuesday (8/18) is the last day to add a full semester class without permission. The twelve-week session begins September 14 and the second eight week session begins October 14. Check CPCC Schedule Builder at https://schedule.cpcc.edu/myschedule/ for course availability. 2. Plan to arrive early to allow enough time to park and find your class. Traffic is heavy during the first two weeks of class. Download the new CPCC app to see campus maps or visit http://www.cpcc.edu/campuses for information about each campus and follow #cpccparking on Twitter for the latest updates. Be aware of the new CATS CityLYNX Gold Line streetcar/trolley that’s now running up and down Elizabeth Avenue. Watch the City of Charlotte’s online safety podcast (and earn a FREE t-shirt!) to stay safe on and around the streetcar system. 3. Park only in areas designated for CPCC students. Local businesses do enforce towing. Student parking decals are available at any campus Cashiering office during regular operating hours and in Central High Room 122 from 10 a.m. – 4 p.m. Monday through Friday during the first two weeks of school. Parking decals must be displayed by August 31. 4. Use your CPCC Login to access My College (http://mycollege.cpcc.edu/) to find important information such as residency status, priority registration dates, enrollment verification, critical alert information, your student ID number and much more! 5. Pay your tuition by the due date to avoid being dropped from your classes. As of now, payment is now due the day of registration. For payment information and due dates visit CPCC Cashiering (http://www.cpcc.edu/cashiering/tuition-payment-dates). Log into My College (http://mycollege.cpcc.edu/) to view your fall 2015 tuition bill. 6. You will need your student ID to check out materials from the Library, use the testing and fitness centers, or access the computer labs on campus. Student Identification Card information is available online. 7. Read CPCC Today, your student e-newsletter sent to your CPCC email every Wednesday or read it via the new CPCC app an. CPCC Today (http://www.cpcc.edu/cpcc-today) covers a wide range of useful information from registration, parking and payment to important dates and events. 8. Have you received your CPCC Debit Card? If you’re a new curriculum student registered for fall 2015 who receives financial aid, you will receive a CPCC Debit Card. Remember this is NOT a credit card but a refund only card. Once you receive your card, follow the included instructions and select your refund choice. Keep your card in a safe place even if you do not expect a refund this semester, as there is a replacement card fee. If you have not received your card, make sure you have updated your address through MyCollege (http://mycollege.cpcc.edu/). For more information, visit www.cpccdebitcard.com. If you have any questions regarding the CPCC debit card, please contact Higher One at 1.866.782.0821 or the cashiering office at 704.330.6964. Thank you for using your CPCC email account; it is the official means of college email communication to you so please check your account often. You can now access your CPCC email account through the new CPCC app! CPCC offers multiple short sessions this spring, giving students another way to earn full academic credit. 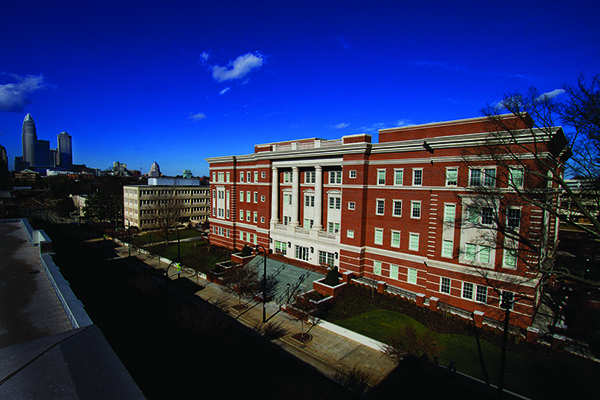 Students can take four-week classes at Levine Campus; eight-week classes at all campuses; and 12-week classes at Levine, Central and online. The College’s short sessions will focus on those classes that are typically in highest demand at CPCC and tend to fill quickly; these include reading, math, English, nursing, and communications courses among others. REMINDER: Tuition bills are due every Monday for anyone who registers the week prior. If payment is not received by this date (and a financial aid award is in not in the system) students will be de-registered from their classes. For more information or help, contact CPCC’s First Year Experience office by email at fye@cpcc.edu or via phone at 704.330.6100. Effective January 1, 2012, the Career and College Promise program will replace all existing concurrent enrollment programs for high school students. Enrollment for Career and Promise students at CPCC will begin on November 21. 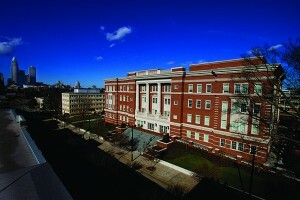 For more information visit: https://www.cpcc.edu/hsprograms/career-college-promise.